Harry Cobden has never ridden in a Cheltenham Gold Cup, but he has a Gold Cup horse - of that he is certain. Clan Des Obeaux started this season as a 157-rated six-year-old. A decent, but ultimately well-beaten, fourth in the Betfair Chase hinted little of what was to come. But boy has he come of age. 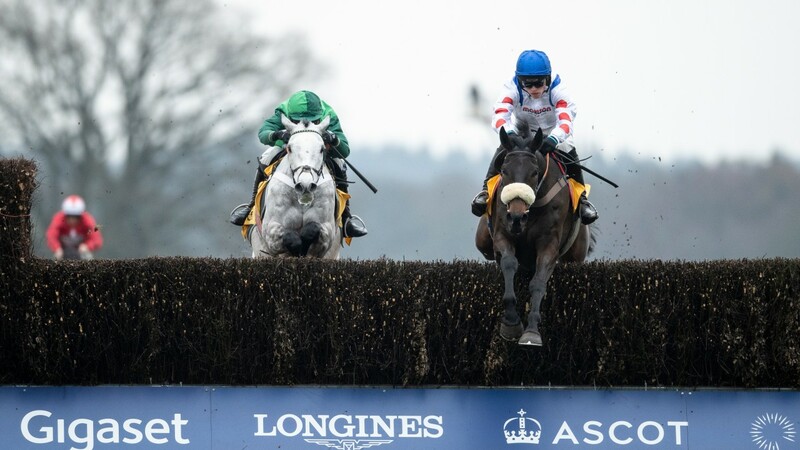 A breathtaking success in the King George was backed up at Ascot on Saturday, where he travelled as smoothly as a bullet train in Japan - and showed similar acceleration when putting the Denman Chase to bed after the last. He took off in second and by the line was 11 lengths clear of Terrefort, who politely gave him a tow into the race. If his jump at the last was spectacular, the vast majority of his others were effectively economical. He appears to simply pop from one side to the other as if it requires no effort whatsoever - ghosting his obstacles and putting pressure on his rivals because of it. His rivals for the rearranged Grade 2 Betfair Denman Chase could not live with him and this was an ominous performance for those looking to take him on in March. Very few horses are born to win a Gold Cup, they are made in moments such as Haydock and here. "He's got better all the time, he's maturing and he's more professional when he races," said a buzzing Cobden. "He's not as exuberant as he was, but if you light him up he takes off. "He had a good bit left. He's improving all the time and I didn't want to find out exactly what was left today - we'll save that until March." Paul Barber has owned two Gold Cup winners in See More Business and 'the Tank', after whom this race was named, and no sooner had Clan Des Obeaux – who he part-owns with Ged Mason and a certain Sir Alex Ferguson – crossed the line than his thoughts turned to a potential third. "He's been fiddled about with because of the weather, then the flu, but he's done exactly what we've asked," said Barber. "I think he's a very serious horse. I've been lucky to own two Gold Cup winners and I'd love to think one day that might happen again. "As long as that's not taken too much out of him, it's only four weeks away, then we can dream." It begs the question why run a Gold Cup contender in a race - moved from Newbury after racing was suspended for six days due to the equine flu outbreak – that could potentially fall too close to the day that matters most. But this is not just any race to Barber, it is one named after the best horse he has ever owned. On winning the Denman Chase he said: "It's very special, that's exactly why he's here." Clan Des Obeaux was shortened into between 7-2 and 7-1 (from 10) for the Gold Cup, the market headed by Presenting Percy at a best-priced 7-2.